Purism is committed to creating a completely free phone that protects your data, keeps your communications private, and supports your digital rights. Laptops and workstations that are free from the firmware to the operating system are rare, but they do exist, as the Free Software Foundation's Respect Your Freedom certification demonstrates . Completely free phones, however, are still struggling to exist. Jolla makes phones with free software, but the license makes clear that its Sailfish operating system also includes proprietary software . Technoethical is struggling to produce a free phone, but has yet to release one , and Canonical's efforts to fund the high-end Ubuntu Edge failed several years ago . Now, however, Purism , already known as a successful maker of open hardware laptops, looks on track to produce the first free phone. Having raised more than $1.5 million in a private crowdfunding campaign, Purism is partnering with KDE and Gnome to produce the Librem 5, a phone that is not only free but also private and secure . Such a phone is needed, Weaver says, because "the current mobile landscape is a dark, nightmarish place, where two large for-profit corporations control everything: Google Android and Apple iOS. Phones know more about us than any other device on the planet, and there is no ethical alternative. In the server, laptop, desktop, and router space, the world has convenient options, so ethical choices can be made. In the phone market there is no convenient option; Purism's Librem 5 intends to be that option." To be a free phone, the Librem 5 will not use Android, although free versions of Android like Lineage OS (formerly CyanogenMod) do exist. "That is a short-term and short-sighted solution that does not actually improve the future for digital rights or ethical computing," says Weaver. Free versions of Android typically lag behind proprietary versions, and security in Android as a whole is often lax. To avoid such problems, the Librem 5 will run PureOS, a Debian-based distribution that emphasizes security – a choice that also means that, as with the Ubuntu Touch, the Librem 5 can be expected to act more like a laptop or workstation than other phones (Figure 1). 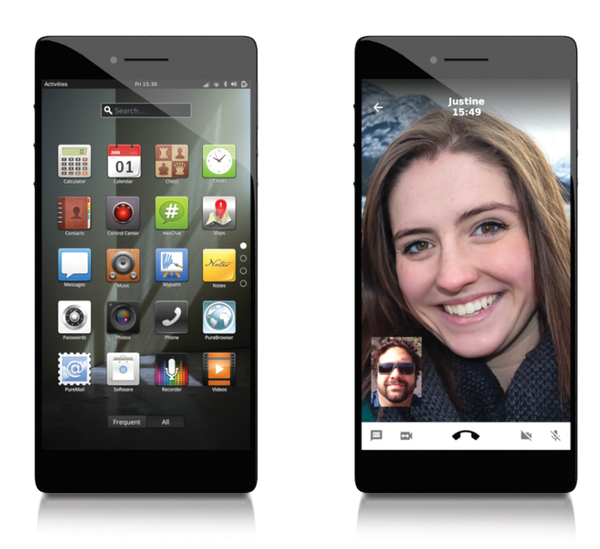 Figure 1: A mock-up of what the Librem 5 phone will look like. Moreover, as though building a free phone is not enough, Purism is increasing the challenge by emphasizing user choice and security. Users will be able to install other distributions "with ease," says Weaver. Moreover, besides the innate security advantages of a Linux distribution and the availability of tools like the Tor browser and Privacy Badger, the Librem 5 is designed with numerous other security features. Applications will run in isolation, so that a compromised app will not allow access to the entire system. Additional security will be provided by a VPN service, default IP-based communication, and end-to-end encryption. Unique among phones, the Librem 5 will also separate the CPU from the Baseband and include hardware kill switches for WiFi and Bluetooth, the webcam, microphone, and Baseband. "It all comes down to control and convenience," Weaver says. "By bundling together a product that protects users by default, running free software where the source code is available into a convenient product, we offer an easy-to-use product that the user controls, not the parent company." Purism, Weaver emphasizes, "is a Social Purposes Corporation , not a traditional for-profit corporation," meaning that its self-appointed ethical standards are as important to it as profits. In addition to its privacy and security features, the Librem 5 is partnering with Gnome and KDE to bring these desktops to the phone. Gnome needs no introduction and is well-suited to mobile devices. In fact, its use of a working and overview desktop seems modeled on mobile interfaces, and the project has already ventured into mobile computing with the Nokia 770, N800, and N900; the One Laptop Per Child project's XO laptop; and FIC's Neo1973 mobile phone. To be used on the Librem 5, a media release by the GNOME Foundation explains that it "plans to enhance Gnome shell and general performance of the system with Purism to enable features on the Librem 5" . So far, however, no other details have been released about the changes to Gnome. KDE's partnership, though, may be more problematic. Purism will not be including KDE's standard Plasma desktop environment but Plasma Mobile, a recent project that is still in development. According to KDE developer Sebastian Kügler, Plasma Mobile's reference implementation currently runs only on the "LG NexusX, Nexus 5, and, thanks to the Halium project, which is a hardware abstraction to allow Plasma Mobile to run on devices which are currently only supported by Android, the number of supported devices is growing." If all goes as planned, the Librem 5 is probably going to be "the first phone to ship with Plasma Mobile out of the box." Weaver expresses his confidence that Plasma Mobile will be available "within the timeframe needed to get product into users' hands." 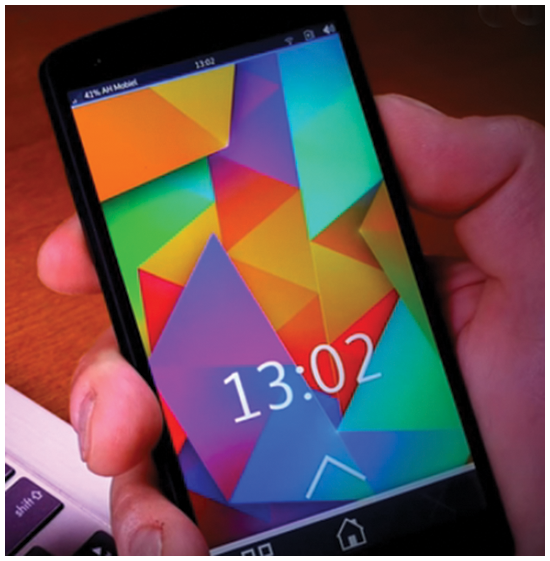 Few people have seen Plasma Mobile (Figure 2). No emulation is available, and first-hand experience is limited to those who have installed it on one of the handful of devices it currently supports. However, from the videos available online , Plasma Mobile features touchscreen support – obviously – and swiping from the edges reminiscent of both Ubuntu Touch and Plasma Active, KDE's previous attempt to provide a mobile interface. Its development benefits by sharing "more than ninety percent" of its code with Plasma, the subsystem for KDE's graphical interface on the desktop. First introduced in KDE 4.0, Plasma abstracts the interface from the rest of the system, making it easy to exchange interfaces. Unsurprisingly, it has a history of doing just that, not only with Plasma Active, but also with Plasma Netbook, which suggests that readying Plasma Mobile for the Librem 5's proposed shipping date in July 2019 should offer no insolvable problems. Figure 2: The little-known Plasma Mobile desktop is a variant on KDE's standard Plasma desktop. The main advantage of both Gnome and Plasma Mobile over Android and iOS is that they are developed as open source operating systems, which at least theoretically should offer greater privacy and control over data. Both should appeal to individual users and corporations alike with a need to control their data and communicate securely. By using these two interfaces, the Librem 5 may accomplish the goal of convergence – a single interface for all devices – that Canonical has recently de-emphasized. That would be particularly ironic in the case of Gnome, to which Canonical's Ubuntu distribution has returned while almost stopping convergence development. However, as Kügler points out while talking about Plasma Mobile, convergence may be an idea whose time has finally arrived. "It takes a learning curve for users, and, I think, advancements in technology to bring it to market," Kügler says. "You need rather powerful hardware, the right connectors, and the right hardware components, so it's not an easy end goal. [However], the path to convergence already bears huge benefits, as it means more efficient development, more consistency across different form factors, and higher quality code." The result promises to be a phone that acts more like a laptop or workstation, rather than just an Android clone. The Librem 5 crowdfunding campaign succeeded, but it sparked considerable debate. Although the alliances with Gnome and Plasma Mobile can be taken as strong votes of confidence, the campaign's announcement has sparked debate about whether such an ambitious project can succeed where so many others have failed. Weaver's response is that Purism can benefit from past mistakes and is in a better position than similar projects. Thanks to crowdfunding and because the Librem 5 is aimed at a relatively narrow market niche, the Librem 5 does not need to sell tens of thousands of phones to be a success. Nor, despite many online criticisms, does it need a large app store to rival Android's Google Play; with access to a distribution's packages, the Librem 5 should offer thousands of apps, at least some of which have versions designed for mobile devices. Furthermore, advances in both computing power and software like Plasma Mobile have made development easier than in the past. According to Weaver, the project should especially benefit from its clearly defined goals and the fact that "the awareness of privacy and security concerns are at an all-time high." Because of the long time between funding and release, Purism is delaying the release of specifications as long as possible, but even a mid-level phone with the Librem 5's security features would likely have a strong chance of finding a small but appreciative audience. Another concern is what I call the Arts and Crafts Dilemma, after the idealistic design movement at the start of the Twentieth Century: That is, to deliver small runs of ethical products, manufacturers have to charge high prices that keep their products out of the hands of most buyers. Weaver admits that "we do have to charge prices that are higher than possible if we had huge volumes." However, he adds that "we are comparable in price to other high-end hardware from Apple, Dell, and Lenovo, and our Librem 5 phone is significantly less than some mobile phone offerings." For example, the Apple X is retailing at $999, compared with the Librem 5's $599 price point. In the end, Weaver says, "people fund Purism products because they believe what we believe – that ethical products are important – so we can leverage that to form a beachhead, and expand up into the supply chain, and pass on volume discounts to users in the future. It is a strong, long-term business strategy designed to change the future for the better." It is also an ambitious project, whose emphasis on privacy and security is finally becoming generally appealing. As it evolves, the Librem 5 should go a long way toward proving the practicality of open hardware. Despite a few ups and downs in development, Purism moves ahead in its quest to produce a free and secure phone. With the eelo project, Gaël Duval has big plans for a free-licensed phone, with an accompanying app store and online services.